Here are the winners! Thanks to everyone who re-shared and re-posted my giveaway! Please email me at rymooreATchannel-zeroDOTnet with your address where you would like the issue shipped and the email address that +Dak Ultimak can send the PDF to. The Halfling Burglar scaling the tower, being nearly killed by flying daggers, and falling from the tower. The Paladin rolling a natural 20 to catch the Halfling and laying on hands to save his life. The players realizing they couldn't hurt the animated fetishes, catching them in bags and tossing them off the top of the tower. Not one, not two, but three characters, bowing down and swearing fealty to Sezrakan! Some very wet, very angry, animated fetishes blocking their escape path from the flooding tower. Emerging from the tower into a raging hurricane caused by the Wizard's mercurial magic. The characters managed to escape the tower but their boat did not survive the hurricane. They have washed up onshore, battered and bruised, far from their home. The warrior needs little adaptation. A warrior can perform Mighty Deeds with firearms: shooting a weapon out of an enemy's hand, shooting them in the kneecap, shooting near a target to distract them, etc. +Tim Callahan's excellent Technomancer class in Crawljammer #2 expands this idea to an entire class. Thieves become Scavengers, digging through ancient ruins (and other people's stuff) looking for artifacts of the lost age. Scavs may backstab with a firearm if the target in unaware. Silent weapons are a Scavs best friend. Pick Lock, Find Trap, and Disable Trap work on their hi-tech equivalents. Forge Document can create imitation keycards and ID badges to access strongholds of the ancients. A Scav can use the Read Spell from Scroll to use arcane cyber-sorcery from ancient machines. Fantasy-style gods aren't a good fit for a post apocalypse setting. So where do Clerics get their abilities? Here are three different ideas. Cultist: (Neutral): The Cultists abilities come from studying the secrets of the Great Old Ones. They are uncaring of their followers. Disapproval means the Cultist has attracted their attention. Cyber-Priest (Chaos): Cyber-priests are altered by powerful patrons to be their servants. The Cyber-Priests abilities come from nanites, brain implants, genetic modifications, and mutations that their patron has bestowed on them. The Cyber-Hive from issues Two and Four of Crawling Under a Broken Moon is a great example a Cyber-Priest patron. A Cyber-Priest may automatically choose Patron Bond and Invoke Patron as part of their starting spells. Halflings are a new race of tree dwelling mutants called Minks. Part monkey and part squirrel, they have prehensile tails and live by scavenging among the ruins. Minks employ their prehensile tail when two-weapon fighting. Elves are a unique race known as Sorcerers. Sorcerers appear human but are either a new race of mutants, aliens from another planet, or dimensional travelers. They employ magic without the need to resort to demonic pacts or super science. Sorcerers never bond patrons or spell burn. As a result, they never suffer from corruption. A Sorcerer may choose to spell burn or bond with a patron. This removes their immunity to corruption. The cataclysm that destroyed the world didn't happen overnight. During the fall, great underground vaults were built. Many survivors retreated below ground. After a thousand years, these "Vault Dwellers" bear little resemblance to their human ancestors. Vault Dwellers can detect hidden caches of technology. Vault Dwellers have a tradition of self defense. They replace sword and board with martial arts. The Vault Dweller may make an martial arts attack with their off head using the rules for shield bashes. They may also choose to forgo the extra attack and instead dodge incoming attacks. This adds their deed die to their AC for one round. This post was supposed to go up a while back. Thanksgiving and illness got in the way, so it's a little late! This week A few weeks ago, I ran Call of Cthulhu for my regular gaming group. The intrepid Delta Green monster hunters headed to San Antonio to investigate an earthquake. The earthquake was predicted by a madman, who then escaped from police custody. The team did well gathering all the clues and following all the leads. They stumbled a little (argued a lot) when planning the infiltration of the cult. We ended the session with the investigators ready to sneak onto the cultists compound and find out what is going on. 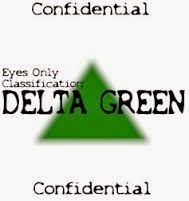 I'm running Delta Green adventure "Aftershock," which is free over at the Delta Green site. 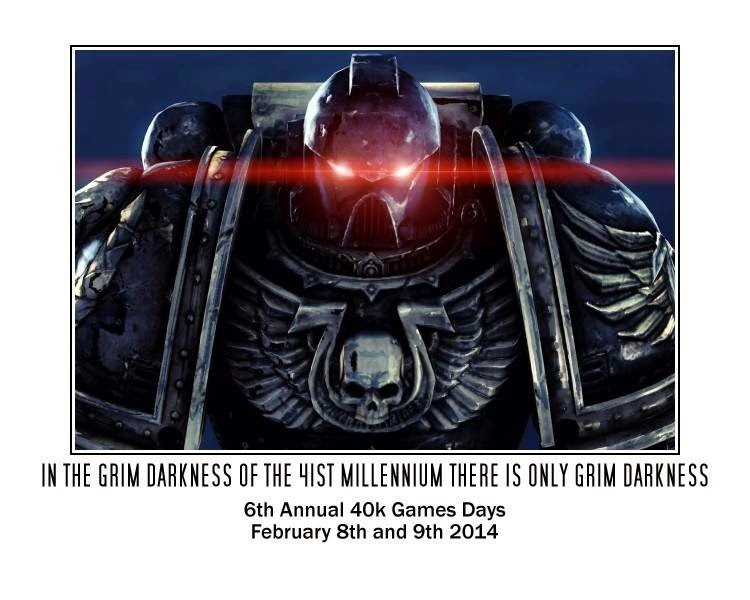 Last week, The week after, I ran Dark Heresy for my online group. I used Tattered Fates, the first adventure of the Haarlock Legacy. The adventure started with the characters captured and stripped of all their cool techno gear. I thought this would be a neat survival-horror setup. The players would be forced to scavenge and improvise. Unfortunately, the Dark Heresy rules broke down on the side of the road. Again. The final dramatic escape scene ended up taking way too long. No one could hurt anyone with their crappy scavenged guns. 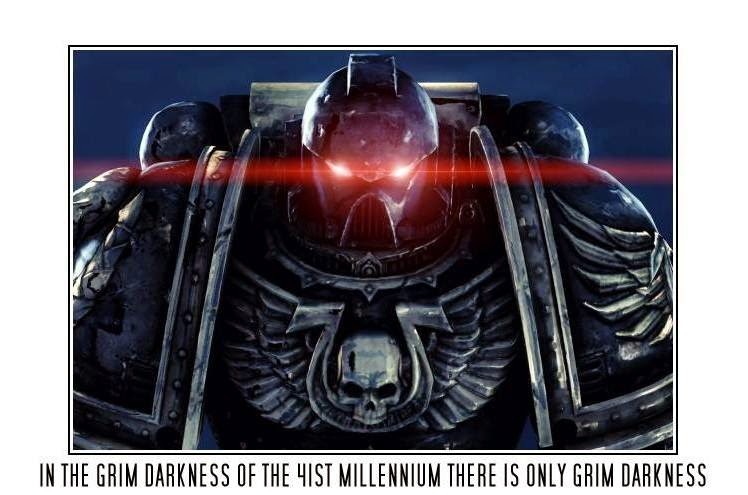 I swear if we weren't 5 years into this campaign I'd adapt Dark Heresy to the Call of Cthulhu rules. The adaptation wouldn't even be that hard. The two systems are almost the same in the first place. 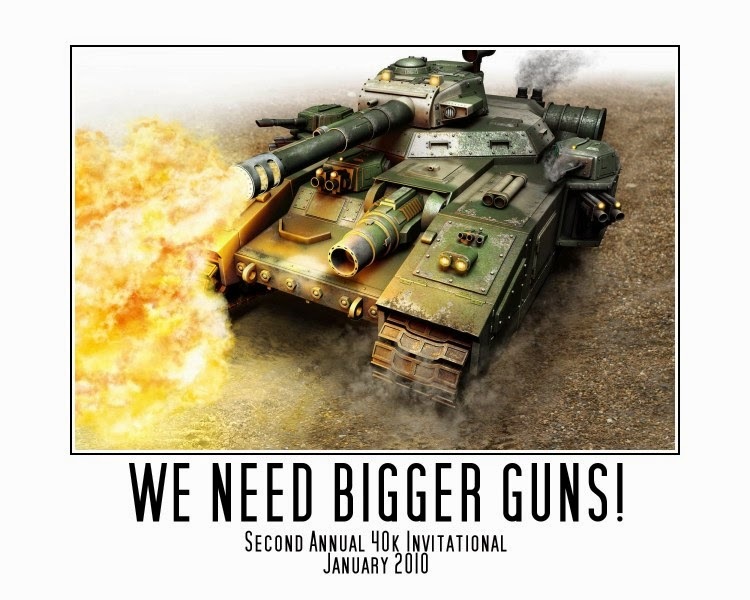 I'm lucky enough that one of my regular players is a Graphics Designer. She made me these awesome logos for the blog. 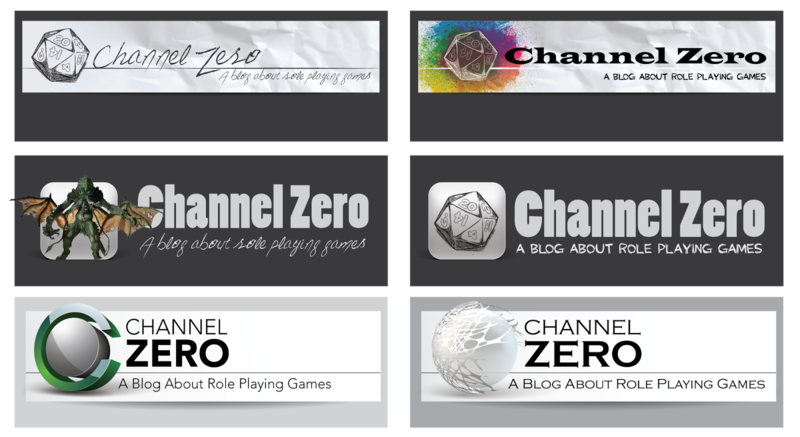 All of which are way better than the glowing green "Channel Zero" that I made in a photoshop knock-off in 2002. My favorites are the paint splatter one and the one right below it. Then she went and outdid herself and updated my whole site! Now it no longer looks like it was deigned by a high-school freshman. Thanks +tiffany bryan! Enjoy the new layout everyone! As a GM you always have to expect the unexpected. One time though, my regular D&D group nearly derailed my campaign by simply using the spell "Gentle Repose"
Me: "Well she's dead. Now what?" Cleric: "I can raise her." Me: "That will take a while, are you sure you want to do it right here? You are in her house and just had a big loud fight." Me: " Okay you are back in your hideout, you want to raise her now?" Ranger: "Nah, then we'd have to keep her prisoner and she could escape. Let's just keep her Gentle Reposed until it runs out then we'll raise her. Stick her in the closet." And so, my big bad evil guy ended up being in the closet of their hideout for a while. They did eventually raise her and get the info they wanted. By that point, I had already transferred everything she was supposed to do to a new BBEG, as you do. One of the biggest headaches in RPGs that employ firearms is tracking ammo. 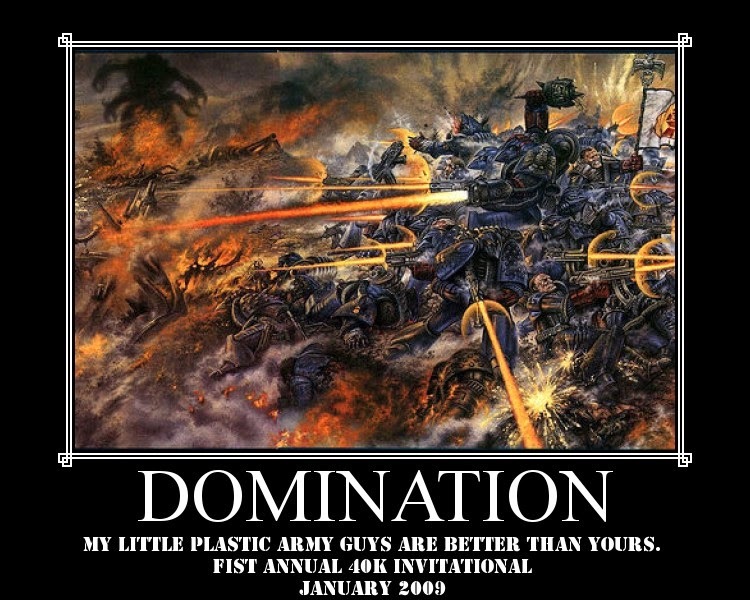 In my modern campaigns like Delta Green. I assume everyone has access to plenty of ammo. I don't worry about them running out unless they really start pumping out the lead or it suits the story. 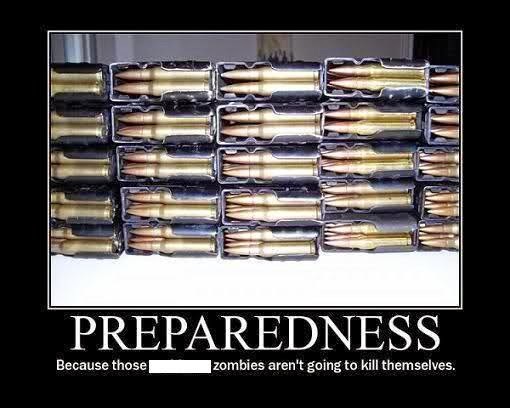 In post-apocalypse games ammo is very scarce and a valuable commodity. I hate having to track every single bullet though. Way back in 2011, +Jeremy Deram wrote a great article on his blog about tracking charges for magic items. He expanded it into a full article in Fight On! #14. I highly recommended both. 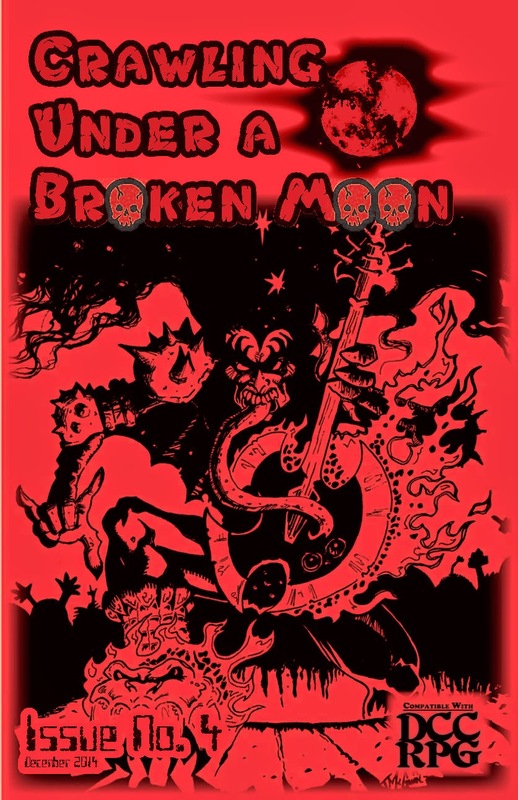 I'm using Jeremy's system for magic items in my Swords and Wizardry games, but I wanted something similar to track ammo for my Crawling Under a Broken Moon campaign. I'm fine with tracking how much ammo is currently in a gun but tracking how much and what kinds of ammo the players carry around gets a little fiddly. Combining Jeremy's idea with the descending dice method in DCC I came up with the Ammo Stash. Each time the character reloads one of their guns, they roll the die. If it comes up a "1" then the die drops down to the next lower die type. A character with a D30 stash has a lot of ammo. One with a D6 stash better be pretty choosy about who he shoots. I like this because it lets me make ammo rare or plentiful without the having to track how much ammo the players are carrying. It also means I don't have to track a lot of different kinds of ammo for various weapons. I can give out ammo as a reward by simply upgrading their current ammo die. The player could also trade away some of their ammo by downgrading their die. Players can even reload each others guns if they like. Post-Apocalypse games tend to be more cutthroat though. If a GM wanted a little more detail, they could assign an Ammo Stash die for each weapon the player has owns. This method can work equally as well for other OSR games that use firearms like Mutant Future. The amount of dice in DCC allows for a lot of different stash sizes. If using the DCC funky sided dice aren't to your taste simply use Jeremy's Red-Yellow-Green system as written. Assign the ammo stash a die and a color and away you go! Update: Charlie White over at Intwischa wrote a similar house rule back in 2011. He even gets into the math as to why it works. Be sure and check it out as well. Picking up from part one. I discovered AD&D and from then on that's all my friends and I played. We happily merged AD&D and Basic. We ignored things we didn't like or seemed not fun, like weapon speed and encumbrance. 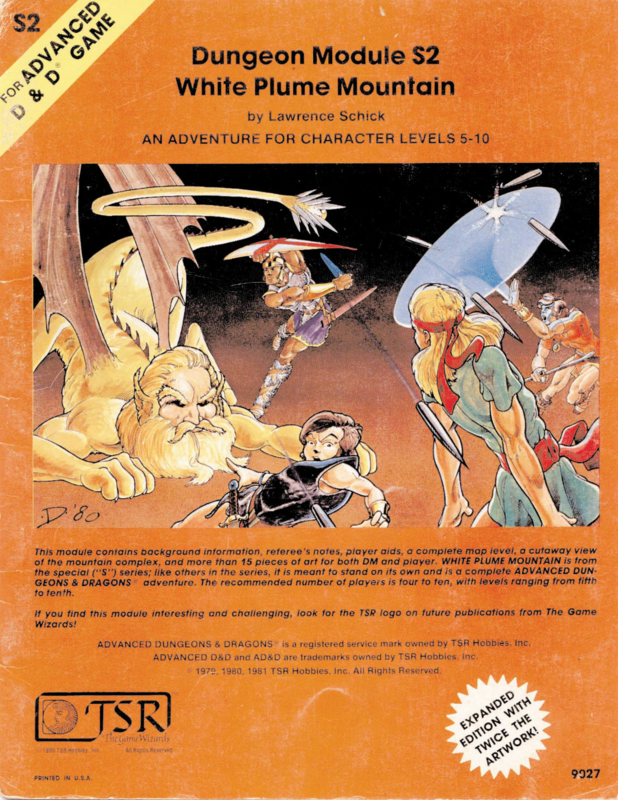 I ran all the classics: Tomb of Horrors, White Plume Mountain, Expedition to the Barrier Peaks, Lost Caverns of Tsjocath, the entire Giants- Drow-Demonweb campaign, Temple of Elemental Evil, and even some Dragonlance. During this time I discovered other games. I remember playing Star Frontiers and Marvel Super Heroes a lot. In high school I joined game club at the local community college and suddenly every game was opened up. 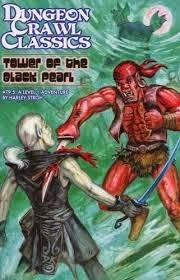 If there was an RPG published in the 80's, I played it. For some reason, and I don't remember why anymore, I lost interest in D&D. I really got into Rolemaster and Runequest. I think I must have been searching for more complicated rules. In Runequest, I was a player in an epic Glorantha campaign, but as a GM my go to fantasy game became Rolemaster. I started my Rolemaster campaign in Middle Earth. After a while though, I wanted that D&D "feel". 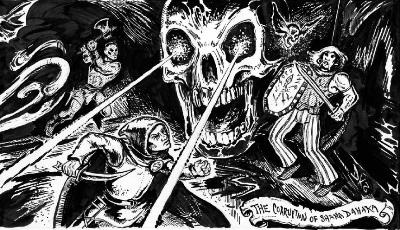 I had the characters magically transported to the Forgotten Realms and converted the Curse of the Azure Bonds adventure to Rolemaster. I don't remember it being that hard. I think there must have been D&D to Rolemaster conversion rules in one of the books. Looking back, I think Rolemaster was intended to be used as a D&D rule replacement. After that I only used D&D conversions. I converted the entire Ruins of Undermountain campaign and the Night Below campaign. Somewhere in there was another run through Tsjocanth as well. I still wanted to play D&D though. I wanted my new players to experience those great old D&D adventures. I picked 2nd Edition D&D at a used bookstore. I wasn't impressed. 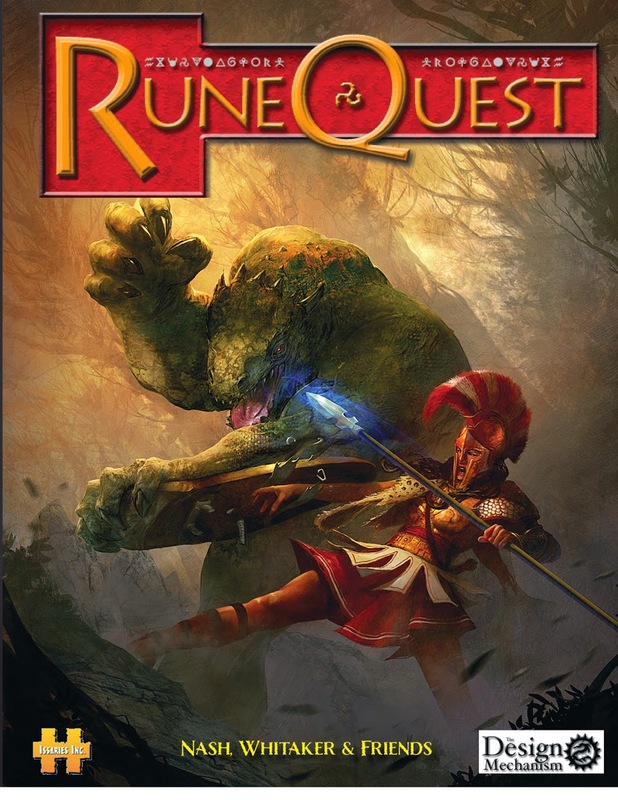 I thought about converting the adventures to Runequest, but that seemed like a lot of work. 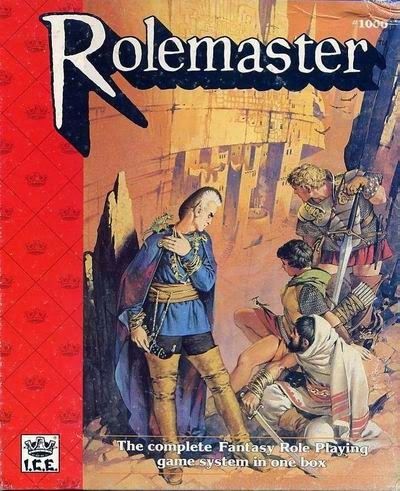 I fell back on my old friend Rolemaster, except by this time, I had tired of it's complexity. I created aof mash up of the two games. The characters were created using AD&D and I used the combat system from Rolemaster. I had a single sheet of rules that I wrote up that told how to compute your Rolemaster combat stats using the AD&D stats. It was actually pretty easy. The magic system didn't quite fit, but no one seemed to care. I ran my former Runequest players through the Temple of Elemental Evil campaign and everyone had a blast. Unfortunately, that was the end of D&D for me for a quite some time. The D&D/Rolemaster game ended sometime in 1994. I didn't play D&D again until 3rd Edition came out in 2000. From the Tesladyne Industries Field Guide based on the Atomic Robo comics by Brian Clevinger and Scott Wegener. This week my regular face to face group continued our Star Wars Edge of the Empire game. The crew got into their first real ship to ship combat. They have been in combat before, but the first time was against a small cloud car that posed no challenge and the other two times they were running away from an imperial cruiser. This time it was their YT- 2400 vs a Firespray patrol craft. In my campaign all ships are named after heavy metal band or songs. The crew's ship is the Queenryche, and the Firespray was called "Fire Woman." The Firespray didn't last long. It got one good shot in before the 'Ryche blew it out of the sky. Edge of the Empire has a lot of options for players during ship combat. The rules aren't complicated but there is a lot to them. I made this cheat sheet for my players to use. 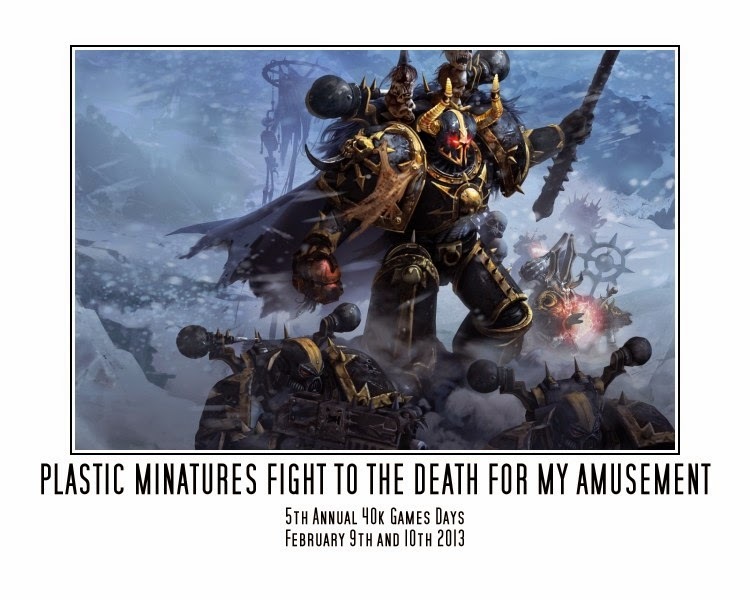 Here's a link to the pdf if you find it useful for your game. A crew member on a ship may take 1 action and one maneuver per round. A crew member can suffer 2 strain to take a second maneuver. A ship can only perform one Pilot-only maneuver per round. The ship can suffer two strain to perform a second Pilot Only Maneuver. Ships cannot perform 3 Pilot Only maneuvers in one round. Maneuvers do not require a skill check unless otherwise noted. Accelerate/Decelerate: Increase or Decrease the ships speed by 1. Fly/Drive: Change the distance between the ship and something else. This assumes you are dog-fighting other ships or closing on a object. If you want to run away or pursue another ship see actions below. Speed 1: Move around close range for 1 maneuver. Move from short to close or close to short for 2 maneuvers. Speed 2-4 : Move from short to close or close to short for 1 maneuver. Move from medium to close or close to medium for 2 maneuvers. Speed 5-6: Move from medium to close or close to medium for 1 maneuver. Evasive Maneuvers: Must be going at least speed 3. Upgrade the difficulty of attacks on the ship by 1. Also upgrades all attacks made by the ship by 1. Stay on Target: Must be going at least speed 3. Upgrade the skill pool of attacks made by the ship by 1. Also upgrades all attacks made on the ship by 1. Punch It: Ship immediately goes to max speed. Ship suffers one strain for each point of speed gained. Angle Deflector Shields: reassign one point of defense from one zone to another. Actions always require a skill roll. Gain the Advantage: Roll Piloting. Difficulty based on relative speeds. Cancels out the penalty of your ships evasive maneuvers and the benefit your targets. If both ships execute this action it is a competitive check. Run Away/Chase Down: Pilots roll a competitive check against each other. Difficulty is based on terrain and speed. Winner closes or moves away based on the results. The higher your speed the more distance you can close/catch-up. Damage Control: Mechanics Check. Difficulty depends on how damaged the ship is. Recover one point of ship strain, one point of hull damage, or attempt to fix a critical hit. Hull trauma can only be fixed once per battle. Every 2 extra successes fixes an additional hull trauma or strain. Shoot the Guns: Roll Gunnery. Difficulty depends on targets speed and size. Plot Course: Roll Avg(2) Astrogation or Hard(3) Perception. Each success removes one setback die from the pilots die pool due to terrain. Copilot: Average(2) pilot check. Each success downgrades the pilots next check by 1 difficulty. Jamming: Average(2) computers check. Block enemy com system. On a successful roll, enemy ship must make an Avg computers check to use its comms. Difficulty increases by one for every 2 successes on the jamming roll. An additional target can be affected for each advantage. Boost Shields: Hard (3) Mechanics Check. Boost 1 zones shield by 1 point. Ship suffers 1 strain. Lasts a number of rounds equal to the successes rolled. Manual Repairs: Hard (3) Athletics Check. Muscle some starship plating over some ship damage to fix hull trauma or hold a breaker open to help with strain. Same as damage control otherwise. Fire Discipline: Hard(3) Leadership or Disciple check. Grants a boost die to the next character making an attack. Every 2 success adds the bonus to another character. May spend 3 advantage to add 1 system strain to all damage inflicted by the ship for one round. 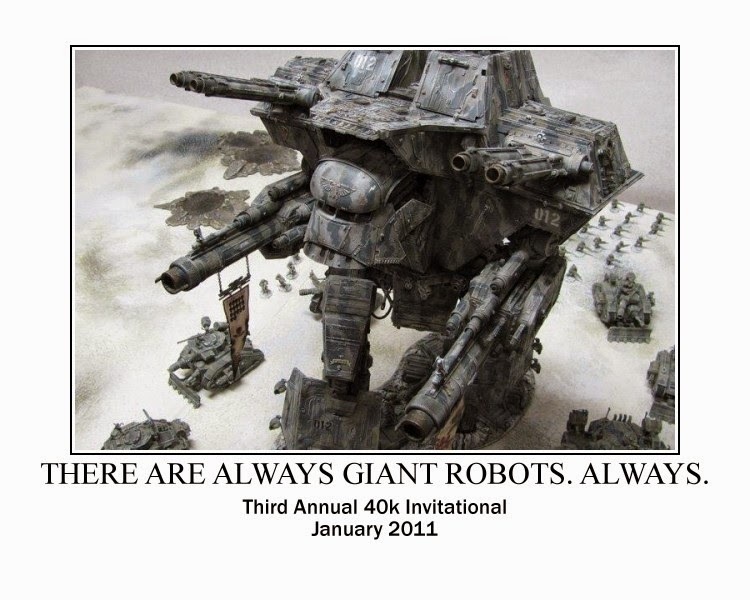 Scan the Enemy: Hard(3) Perception check. Learn the enemy ships game stats. 2 advantage gives the current system strain and hull trauma. Slice the Enemy: Hard (3) computers check Hack the enemy ship. Success lowers a shield on the target by 1. Last for rounds equal to successes rolled. Triumph will disable a weapons system. 2 advantage will inflict one strain. "Spoof" missiles: Average(2) Computers or Hard(3) Vigilance Upgrades the difficulty of all missile attacks on the ship by 1. Every 2 advantage upgrades the difficulty again. Last 1 round. I'm still recovering from Dragoncon, which was awesome, but I don't have the energy yet for a real blog entry. So today you get the campaign intro I sent out to my players of my DCC game. Feel free to copy, borrow, or steal from it if you like. a tight-lipped warlock guarding long-dead secrets. caked in the blood and filth of the weak, the dark, the demons, and the vanquished. 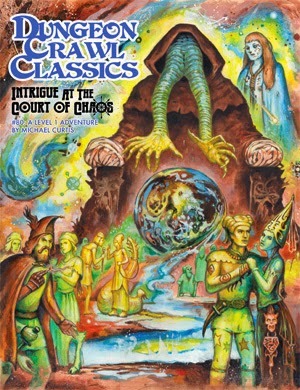 and you shall have them.."
Dungeon Crawl Classics is not D&D even though it may feel the same in some ways. DCC is more Conan the Barbarian and less Lord of the Rings. The first adventure is called a "funnel." Each of player will have 4 level zero peons. The goal is to get one peon all the way through the funnel adventure and become a level one adventurer. This is important to remember when playing the first adventure, if one of the peons has a good stat, the others make good "meat shields" Each level zero peon will start with an occupation, a weapon, and a trade good. The occupation is your only skill. If the character can logically know about something based on their occupation, it may be useful. The weapon and the trade good are all the gear they have to start with, guard them well, and loot the gear off your dead companions. They don't need it anymore. One final note, Elf, dwarf and halfing are classes not races. The peons will have random races but only a peon of a specific race can level up to a class of that race. 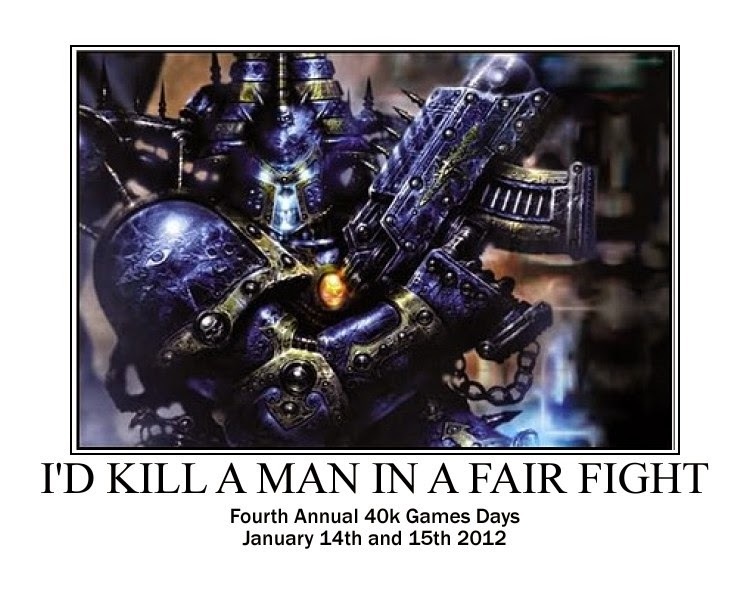 If you REALLY want to play a specific race, let me know and I'll make sure you have at least a few peons of that race. 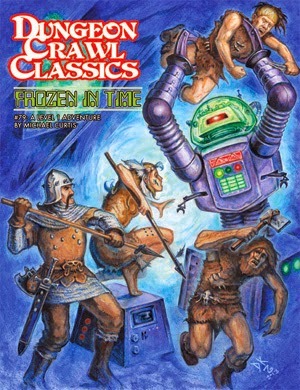 You can simulate the funky dice with other dice, you can scour the Internet for actual funky dice, or you can use the "Crawler's Companion" App. It's available on Iphone and Android or directly on this webpage. http://purplesorcerer.com/crawler/crawler.htm I highly recommend it. It does a lot more than just roll your dice. Luck is an important stat. Unlucky character find themselves the target of random attacks. Lucky characters get bonuses to their rolls. If a peons has a high luck he's worth trying to keep alive. Luck can be "burned" to add to a die roll or avoid a bad roll. Each point of luck burned is an extra +1 on a roll. Burned luck can be regained but it's rare. Luck can be restored by role playing your alignment and completing quests that match your alignment. Thieves and Halflings can do lots of cool things with luck at level 1 and above. There are only three: Law, Chaos, and Neutrality. These represent your alignment to the greater powers of the universe. Good and evil are moral choices and are usually situational. Pick whatever alignment feels right. Page 24 of the core book has an explanation of the alignments. Just remember in DCC, Cthulhu is neutral. The campaign will focus on adventuring to the exclusion of everything else. We won't roleplay visiting cities, buying gear, selling loot or overland travel unless it's important to the adventure. Between each adventure, time will pass and the characters can buy equipment if it makes sense. The characters are more concerned with getting the loot than hanging on to it. Just like Conan, the adventurers tend to blow a lot of it on debauchery between adventures. If a character has a plan for his/her loot, let me know and we'll come up with something. 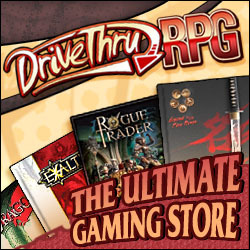 At some point, the characters interests will start driving the campaign. Finding a new spell, a powerful magic item, or a fabled treasure will be come more important than loot. Adventurers are not common and are seen as somewhat insane by normal people. In the DCC world, most folks don't go much beyond 20 miles of their home village and wilderness travel is extremely deadly. Anyone who roams the world going to places where monsters live for gold and glory is just plain nuts. The characters aren't likely to meet other adventurers. 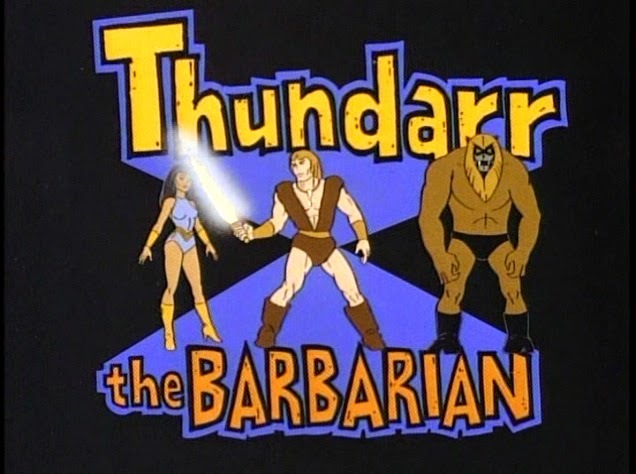 If they did the other adventurers would probably try to kill them and take their stuff. The best source of magic items is dead adventurers after all. Dying is easy in DCC. The characters have very few hit points. There is a small chance that a level 1 or higher adventurer can survive a killing blow but the character may end horribly maimed. The level zero peons will drop like flies. If more than one of your peons manages to make it through the funnel, all of them can level up to level 1. Only one can be played at a time though. You can choose which one you want to play each session. If a character dies one of the others can replace them. There aren't any high level clerics to run back to for a raise dead. If your last character dies, you can roll up a new one starting at one level below everyone else. There is a way to bring someone back from the dead but it requires going on a quest.